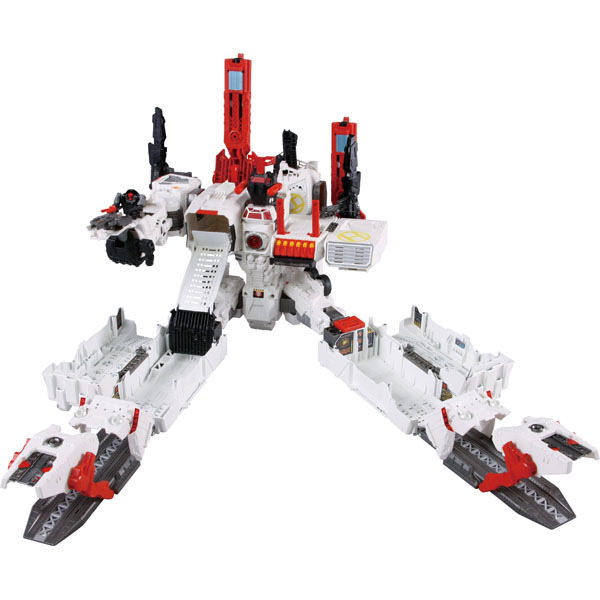 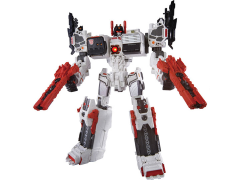 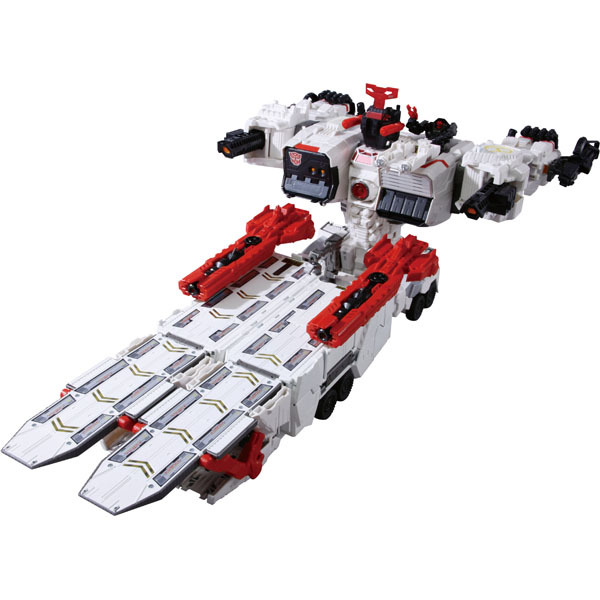 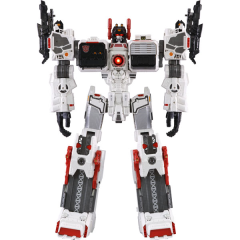 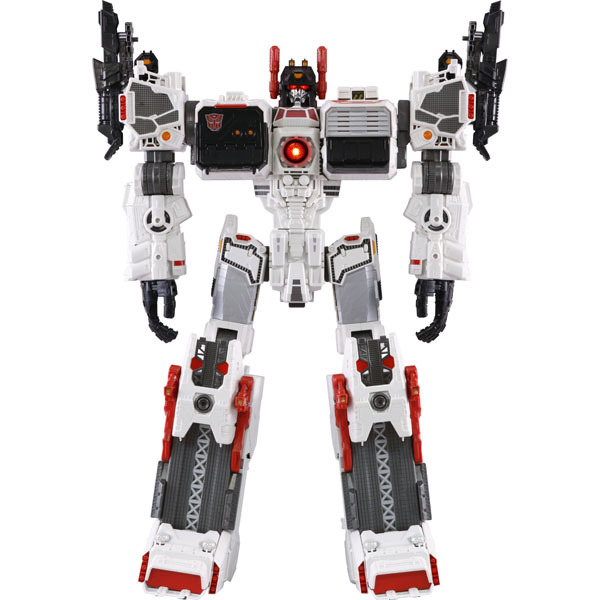 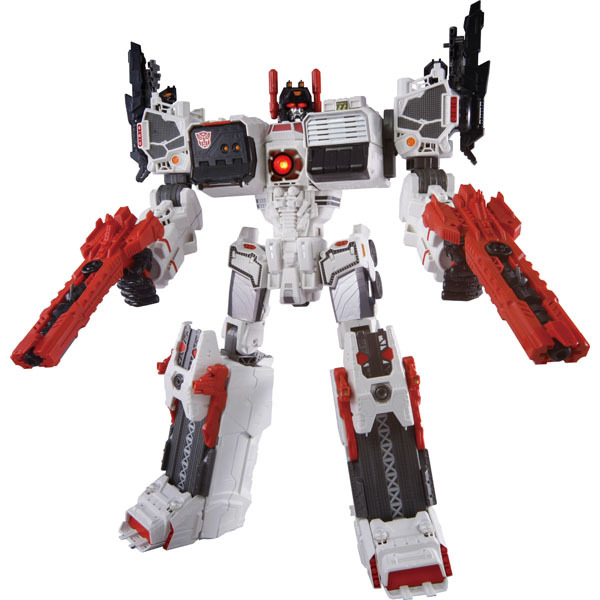 The Transformers Legends LG-EX Metroplex is a triple changing Titan sized autobot. 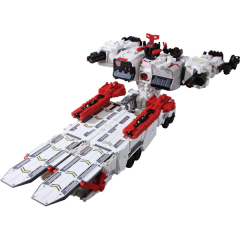 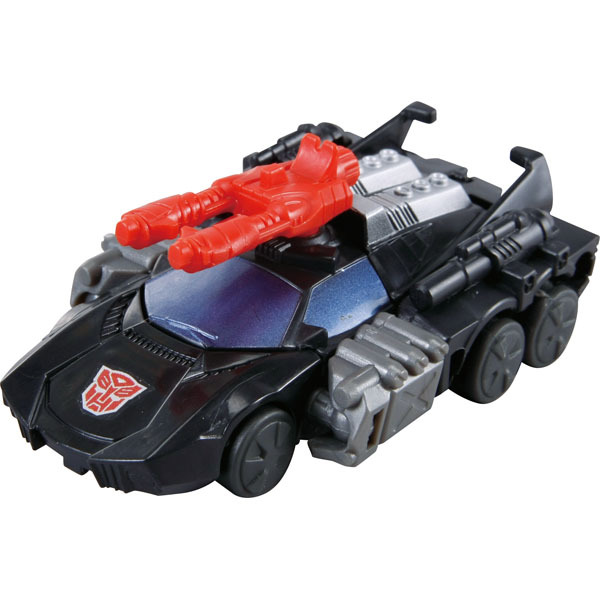 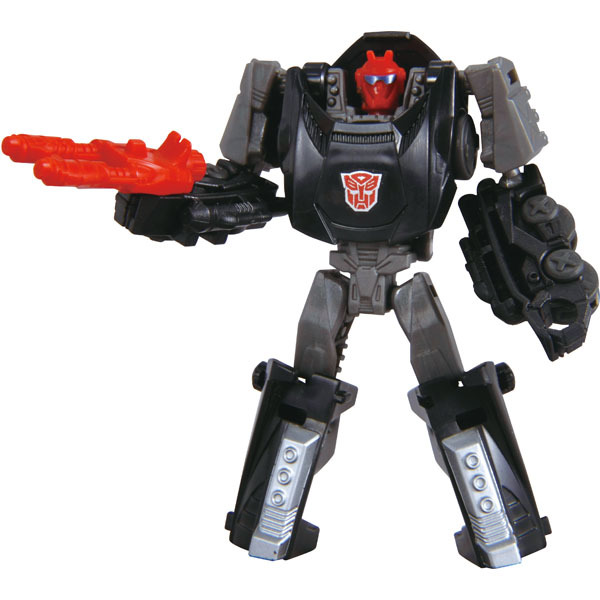 He functions as a battle station for his fellow autobots that can transform into a traveling fortress and goes wherever he is needed. 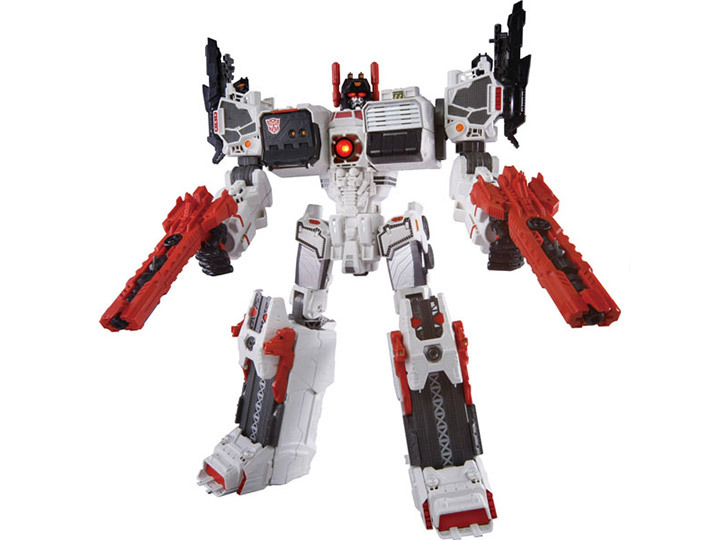 When the battle gets too thick he is also able to transform into a large robot armed with two large blasters. 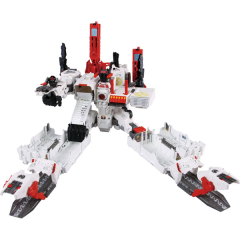 Included with Metroplex is a legends sized Scamper.